Introducing The Lettering Font – special hand lettered font. It has lettering style perfect for book title,home decoration, and many more. File format: .otf, .ttf, .svg, .woff, .png for Photoshop or other software. 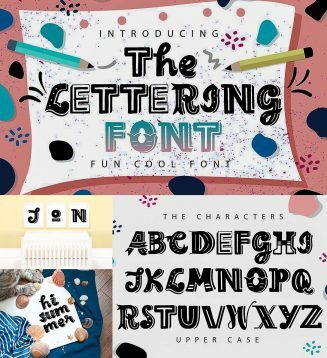 Tags: alphabet, creative font, custom font, decorative font, handlettering, lettering font.